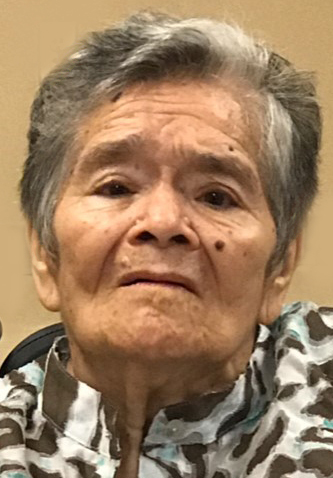 Obituary for Ana Vera | Esterdahl Mortuary and Crematory, Ltd.
Ana Vera, 84, of Rock Island, died Thursday, September 13, 2018, at Hope Creek Care Center, East Moline. Visitation will be from 2-5 p.m., Sunday, September 15, 2018, with a rosary to be recited at 3:30 p.m., at Esterdahl Mortuary & Crematory, Ltd., 6601-38th Avenue, Moline. Mass of Christian Burial will follow 2 days later 10 a.m., Tuesday, September 18, 2018, at St. Mary’s Catholic Church, 412 10th Street, Moline. Burial will be at Moline Memorial Park. All need to use 60th Street to access the funeral home. Ana was born on September 7, 1934, in Puerta del Monte, Guanajuato, Mexico, the daughter of Jesus and Angela (Alonzo) Raya. She married Leonardo Vera in El Sabino, Guanajuato, Mexico. He preceded her in death in 1997. Ana was a member of St. Mary’s Catholic Church. Survivors include her children, Daniel (Maricela) Vera, California, Clementina (Oscar Ruvalcaba) Vera, Rock Island, Lorenso (Maria) Vera, California, and Maria (Alejo Dueńas) Vera, Moline; many grandchildren and great grandchildren; siblings, Isabel Raya, Mexico, Gloria Raya, Mexico, Jose Raya, California, and Guadalupe Raya, California. She was preceded in death by her husband, her son, Eleaza, 3 sisters and a brother.